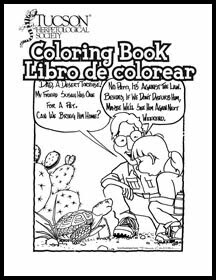 Both in English and Spanish, these 10 coloring pages are both fun and educational, featuring reptiles and amphibians of southeastern Arizona. Cheery is a frog - a Chiricahua Leopard Frog, to be precise. 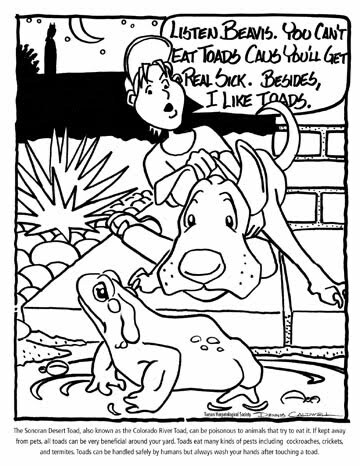 Follow his amazing story from the time he's just an egg in a pond, to when he swims away as a tadpole, and later grows into a frog. 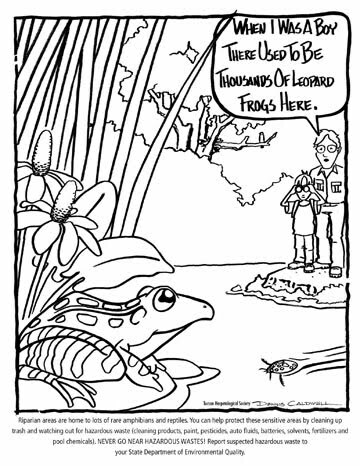 In this new, informative book, young readers will learn why some frogs, like Cheery, and other amphibians are dramatically declining in numbers around the world and may become extinct unless something is done to save them. The existing population of Chiricahua Leopard Frogs (Rana chiricahuensis) is being enhanced by the Chiricahua Leopard Frog Recovery Plan being conducted by the US Fish and Wildlife Service and Arizona Game and Fish Department. Author Dr. Elizabeth W. Davidson is a research scientist at Arizona State University where she is working to save these amazing amphibians. 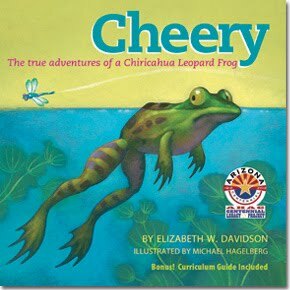 "Cheery: The True Adventures of a Chiricahua Leopard Frog" puts the problem in terms that young readers can grasp. 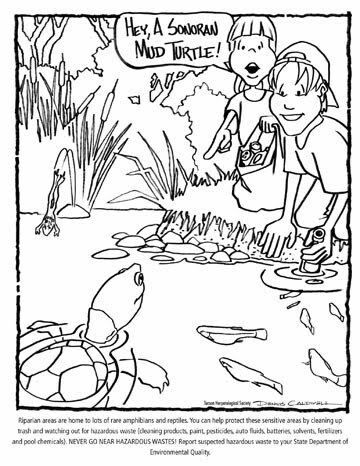 And that's important, for today's children will become tomorrow's stewards of our earth. The book contains valuable lesson guides for parents and teachers. 4. Develop 21st Century skills in creative and critical thinking, use of technology tools, collaboration, and communication by working with master teachers, field scientists, land managers, and local experts.